It has been said time and time again especially in Hollywood If it ain't broke why fix it? This could not be more the case with the recent rebirth of certain films, Fright Night, Friday the 13th and many others. So the new trailer is up it is a minute longer than the first one and there are some additional scenes in this one. Here is the trailer that came out today! There are some pictures that have been released from the new film coming direct to DVD this fall. 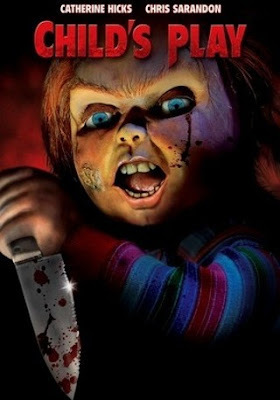 Universal will unleash the Curse of Chucky this September 24, 2013. So mark that date down and get ready for Chucky’s return!. The film stars Fiona Dourif (The Master, “True Blood,” “Deadwood”), A Martinez (“Longmire,” “General Hospital”), Danielle Bisutti (Get Smart, “CSI: Miami”), Brennan Elliott (Flight 93, Double Jeopardy), and Brad Dourif (The Lord of the Rings, Exorcist III). 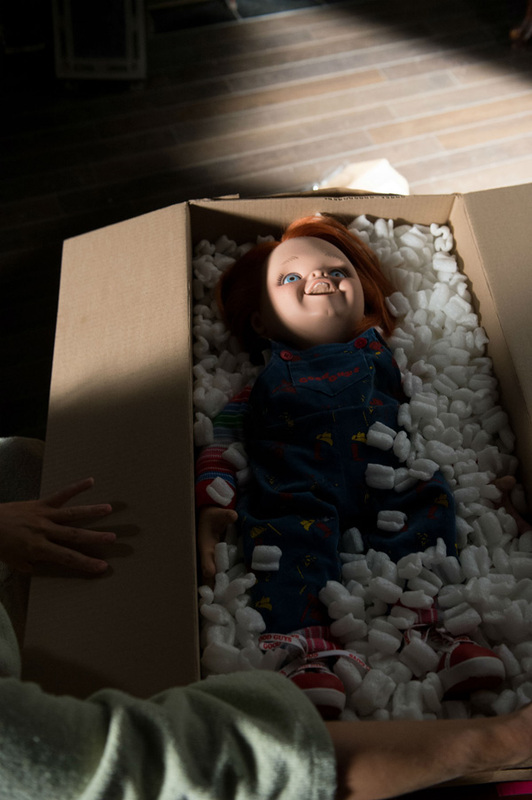 It seems that Chucky himself will be getting in fact re-born and have another in the series of Child's Play movies. According to Shock Till You Drop .com in a recent interview with David Kirchner they will have Don Mancini(he wrote all the other Child's Play movies before)Don will write and direct this NEW edition of the remake, also the next chapter. They were stated that this remake would be scarier than the original film from 1988. Charles Lee Ray(Brad Dourif) himself who possessed the body of the Good Guy doll in the original will be making a return as Chucky and will be providing the voice as well.Brad Dourif is to these films like Robert England is to the Nightmare on Elm Street films they know without him the movies don't stand a chance being seen by the original fans of these films, case in point Nightmare on Elm St(2010)was an insult to the original series. So with this past weekend there was a small reunion of a small part of the cast at the Mad Monster Party in Charolette, North Carolina. Brad Dourif was there to confirm that he will be doing both films. Chris Sarandon was on hand as was Alex Vincent.There are rumors that Christine Hicks will return for the sequal, but that is just a rumor. Call me crazy but I enjoyed this series but this is just another studio that is using the old tried and true, when in doubt make a sequal. 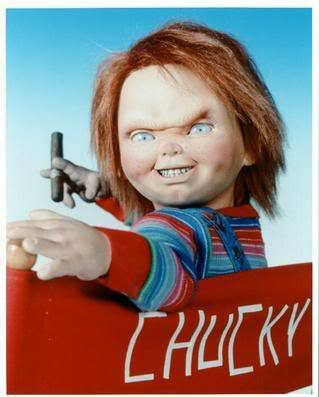 But after Seed of Chucky are we sure that we want another one? 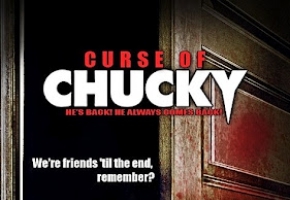 I also realize that there is allot of money for a studio to make when re-making a successful series of films but if the original remake does well that means Chucky is yet to be permently buried. 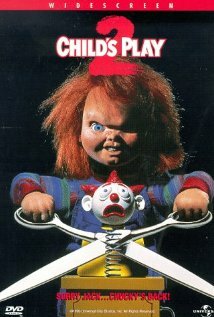 Childs Play 2(1990)made $35,763,605 worldwide with it costing 13 million to make with just over 10 million on opening weekend alone. 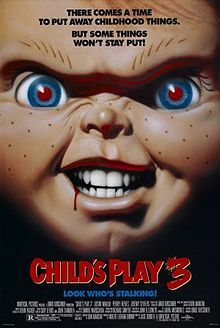 Child's Play 3(1991)still costing about $13 million dollars to make this third in the series made only about 21 million worldwide with its opening weekend at just over five million dollars.This along with Seed of Chucky are the weaker of the series. Bride of Chucky(1998)Ten years after the original they had an original title instead of Child's Play 4 and they added Jennifer Tilly into the mix.This added allot to the series(in my eyes)and hope she makes a return in the next chapter. This film was 25 million to make with fifty million dollars worldwide and and 11 million dollar opening weekend. This is my personal favorite of all the series I just loved the whole Frankenstein connection etc with a twist(very twisted)I think allot of you out there share that opinion as this was the most successful one of the series. Seed of Chucky(2004)This was the worst one in the series for me it was just bad overall. This one cost 12 million to make made just over 24 million worldwide and had an opening weekend of just 8 million that after the success of the previous film. All this being said and regardless of what you may think of these films, I appreciate that even with all of this technology that is at the fingers of these studios they still make the automated dolls for these films, they refuse to go to Computer Generated Images they want these dolls as a part of the stage as the actors. Here is a 10 minute look at Kevin Yeager and his work behind the scenes with the dolls. I have always been fasinated with puppets so I applaud his work on these films. 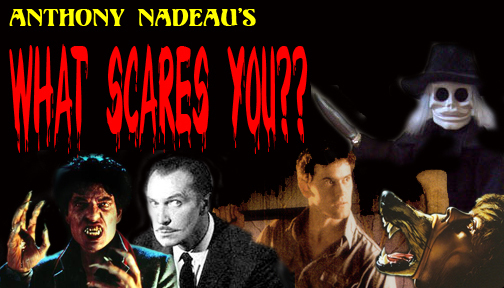 Labels: Movie News, What Scares You?